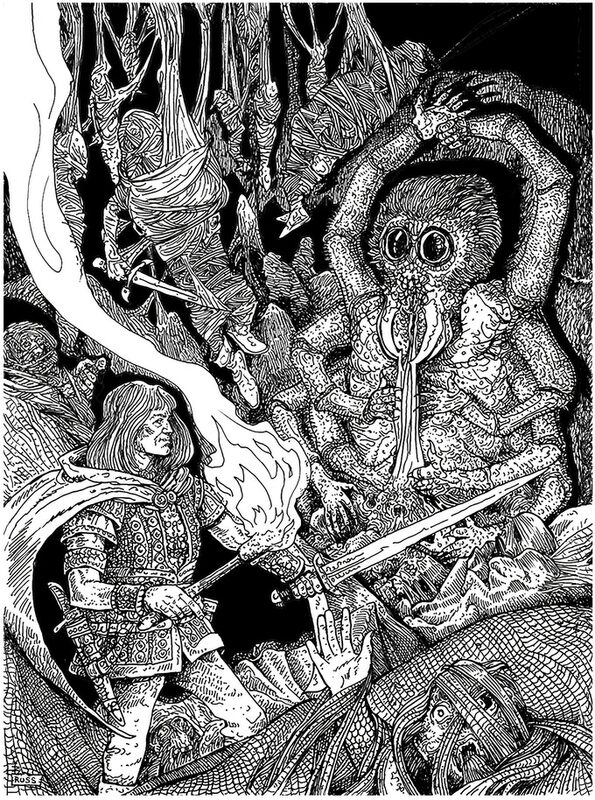 I'm pretty big on backing OSR themed Kickstarters. I like to back the community I'm a part of and want to see creators, new and old succeed. The Dungeon Delve #1: Tower of the Black Sorcerers looks to be an excellent OSR Kickstarter, with a bunch of pluses and a huge potential warning sign. Removable cardstock cover printed in color. A cut-away map of the tower, a map of the tower levels, and a dungeon map printed in classic dungeon blue in the inside cover. Its written, edited, laid out and all art is accounted for. Shipping for the physical copy is apparently included in the $20 price. Looks to ship anywhere. Enough international backers can make this a monetary loss. Its funded and I'm currently in for 20 bucks. 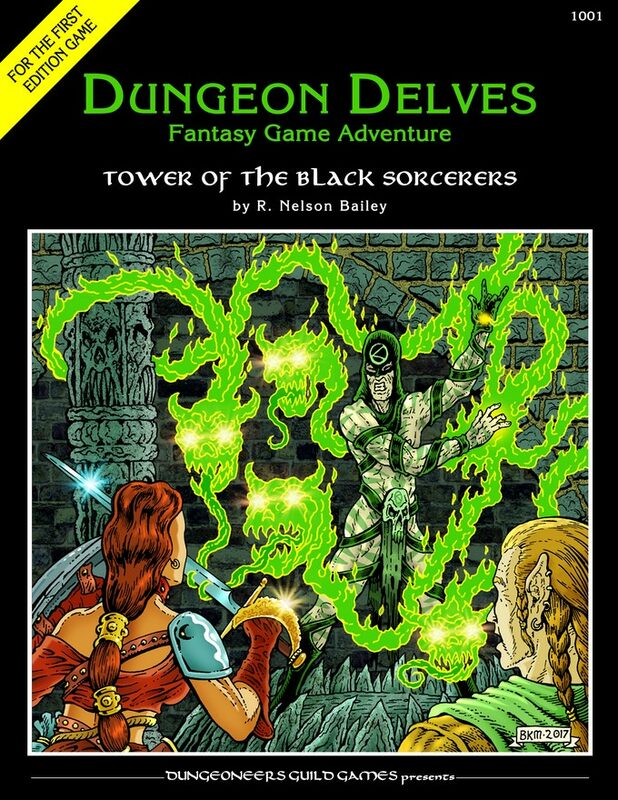 Edit: "Tower of the Black Sorcerers" is an adventure for 5 to 7 characters of intermediate levels 5 to 8. " I'd missed that Erik. That could potentially spell disaster! I know from experience that shipping alone to some international locations can exceed $20. Big, big warning. It was the postage costs that sunk the Appendix N Kickstarter. Funnily enough, the physical buy in on that one was also $20 including shipping to anywhere in the world. I reckon any backers to this one as it stands are bordering on throwing their money away. I brought this up a couple of days ago on the KS, no response thus far. Even though I'm just 3 or so hours away by car (Tacoma - British Columbia), I expect postage to be $7-10 USD. It appears that media mail for Continental US was the measuring stick for including shipping. There have been a few of us that have pointed out that issue with the project creator and I know he's acknowledged it - he's replied to my message and I think he's capped the first reward and created a new reward with the correct shipping. So, once again, the indie publishers are looking out for each other! Good to hear Thom. It would have been nice if the matter had been openly addressed. Perhaps you can pass along some pointers on dialogue with one's backers. That's good to hear. This is a nice looking product and I'd hate for the originator to come out of it broke.